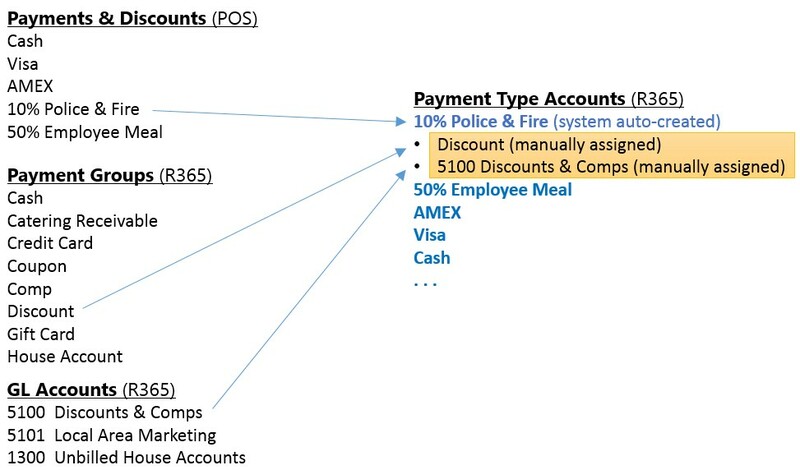 A Payment Type Account's purpose is to tell Restaurant365 what GL Account to debit when accounting for individual sales tickets imported from the POS. It is a 'mapping' of tenders, discounts, and other offsets/reductions to the sale of goods in the POS system, to a Restaurant365 GL Account. Note: assigning employees, and adding Reasons to Exception Types is not a requirement and the Manager can still save and approve the Daily Sales Summary during the review process. 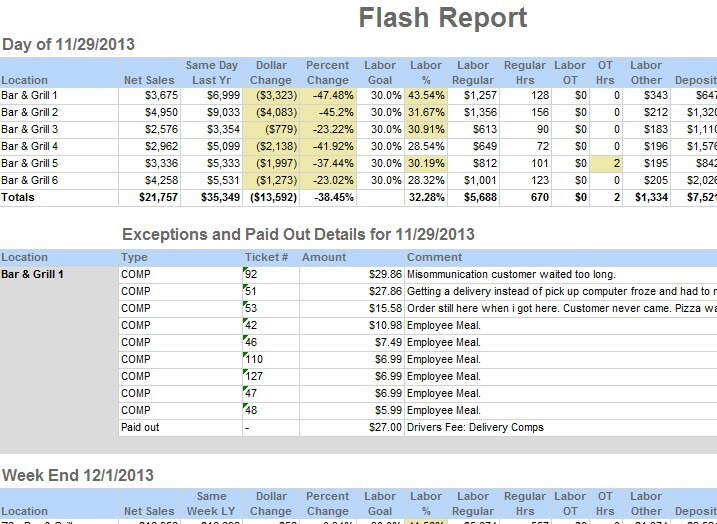 Payment Types flagged as Exceptions, that are included on the Daily Sales Summary transactions, also appear (along with the comments assigned to them by the closing store managers) on the Daily Flash Report. Exception Comment - This field is optional and is used to default a standard comment in the 'Reason' comment field on the Daily Sales Summary transaction for that particular exception Payment Type. The Reason comment field on the Daily Sales Summary transaction for exception Payment Types is an optional field. If a Reason comment is frequently used, it can be automatically assigned by adding it as the exception comment on the Payment Type. The Exception Comment field on the Payment Type setup allows you to enter a default comment that will appear in the Reason field on the Daily Sales Summary so the manager doesn't have to type in a value. The comment is only a default and may be changed by the manager, if desired, directly on the Daily Sales Summary transaction. In the screen shot above, the 'COMP' exception Payment Type has an Exception Comment of 'Employee Meal.' but the manager erased them and added custom reason comments to the first three tickets (#91, #51, #52). After the initial setup, and all the Payment Types have been mapped to GL Accounts, there are occasions where new payment types are added to the POS system. On the day these are used in the POS system, the Restaurant365 integration will pick these up and auto-create a new Payment Type that will need to be assigned a GL Account and flagged with the proper Payment Group. There are three places to administer this on an on-going basis.